Rock Star Tri: My journey back to the endurance world frequently interrupted by life : IMFL: The event itself. It is official: you are my hero. Great report, thank you. After reading it I realized I just ran out of excuses for not doing my 22mi run today. I needed some inspiration and you have certainly provided it for me. Way to gut it out! How are you progressing this week? I finally feel back to normal today! You totally powered through so much! UGH. Jellyfish? I read that on a few reports!! YUCK. OUCH. Glad you didn't get stung. That is a good reason to stay that close to the race site. 4:15 am was not a pleasant time to be in Destin. I'm just glad you made it all the way through the marathon! That sounds really painful, and I had to laugh when you told Fran why he wasn't your doctor. Too funny! Awesome job on gutting it out with those blisters. I can only imagine how bad they hurt. In the end you are an Ironman blisters and all! Your courage in gutting this out is inspiring. Congratulations! 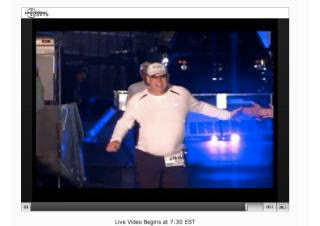 It was great seeing you cross the finish line!